Some ta-dah, huzzah, laaaaa. Because that's how grape cream pie sounds to me — or purple cow pie, depending on what circles you run in — especially a vegan version, given the cow and I just don't get on well. Some ta-dah, huzzah, laaaaa. Because that's how grape cream pie sounds to me — or purple cow pie, depending on what circles you run in — especially a vegan version, given the cow and I just don't get on well. There would be homemade condensed milk, too, created with coconut milk to further prove my domestic prowess and eschew the bovine. But I was running out of time to try my hand at it. 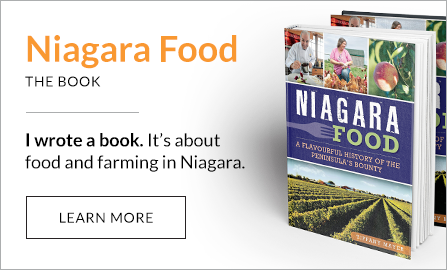 March 30 was the deadline I had given myself to finish the first draft of Niagara Food: A Flavourful History of the Peninsula's Bounty for my publisher, the History Press. At 1,000 words a day, it seemed nothing short of doable, though my manuscript wasn't actually due until May 1. You see, I was trying to please another editor — Olivia, my daughter growing inside me and, according to my obstetrician, expected to arrive April 10. I was trying to beat the belly as I diligently wrote about food and farming in Niagara each day for the past two months. But as my self-imposed manuscript deadline loomed, developing and testing a recipe using a regional food — Concord grape juice — for this instalment of the Canadian Food Experience Project was the kind of fun for which I just couldn't find the time. Then the belly decided my gig was up anyway. Done my manuscript or not, able to create and test vegan purple cow pie or not, Olivia arrived March 24, nearly three weeks early. So I offer something less flashy than grape cream pie. 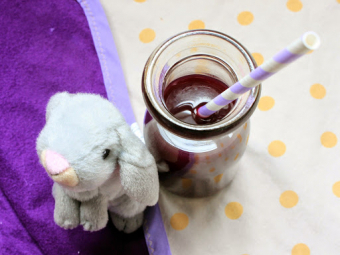 Something simpler but something far more relevant to me, to the belly that is now my daughter sleeping by my side as I type: homemade grape juice. Of course, Concords can be used for this or green Niagara grapes when they're back in season in August and September. Any juice grape, really, even if they are harder to find now that our juice grape industry is barely a blip on our agricultural landscape. After Cadbury-Schweppes, which made grape juice concentrate for Welch's, closed its St. Catharines plant in 2007, the death knell rang for the 60-year-old local grape juice industry. There were 87 juice grape growers at the time with 1,700 acres of fruit to their name. Last time I checked in 2012 while writing a story for Edible Toronto, there were 32 growers and less than half the 2007 acreage remaining. Most of those growers now send their grapes over the border to a co-operative that also processes bunches for Welch's. Buy a can of the brand-name grape juice concentrate and you might get a taste of Niagara's grape juice legacy. A handful of growers, hanging onto tradition and a livelihood, also press and sell their own juice. 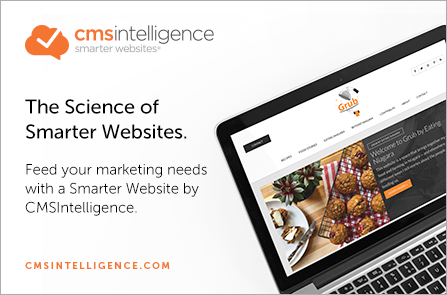 It's available at local farmers markets or directly from the farm. How the mighty Concord has fallen — once even a staple in our local wine industry until the advent of free trade and the Vintners Quality Alliance in the late 1980s motivated growers to plant proper wine grapes, such as Chardonnay. Late last September, I could be found in a Niagara-on-the-Lake vineyard that rolled out in front of me like a lush welcome mat. I was picking Sovereign Coronations, a table grape similar in taste to the Concord but seedless, that was developed in the 1970s at the Pacific Agri-Food Research Centre in B.C. Sovereign coronations have been growing in Niagara since 2000, a cross between the black Patricia and green Himrod, so says the mighty Wikipedia. I adore how when I pop one in my mouth and gently bite down, the sweet, juicy green flesh separates from its tart dark skin, both coming together again as I chew to create the epitome of grape flavour. Imagine eating a Jolly Rancher or any other grape candy and you'll have an idea of the sovereign coronation's oh-so-purple flavour. That early fall evening a few months ago, I was harvesting heavy bunches of the berries cloaked in their soft, milky bloom for the Garden of Eating - Niagara. The farmer couldn't find a buyer for his fruit and several tons were going to fall to the ground to rot. At the time, I was maybe 12 or 13 weeks pregnant and hadn't yet announced that I was expecting. I was nervous about sharing the news, more uneasy about filling my bushel baskets too full and doing any heavy lifting. My friend Rowan was with me to help pick and shoulder the loads, him clutching one side of the bushel basket, me the other, as we gingerly carried them from the vineyard to my car for delivery to Project Share. With every step toward my car that I took, I chanted to myself 'Please be OK, baby. Please be OK, baby. Please be OK, baby.' While Olivia is my first child, she wasn't my first pregnancy. I had a miscarriage nearly two years ago and often wonder if it was because I didn't slow down, that I still did the heavy lifting when perhaps I should have asked for help. That I took for granted the delicate act of life being created and growing inside me. The whole drive home that night, my car filled with the most potent purple smell, I kept repeating my mantra. Still, I knew no matter how hard I willed a healthy, happy baby, my mind wouldn't truly be at ease until I was holding her in my arms. That night, I rewarded myself for my efforts in that vineyard. I set aside a peck of grapes for myself, thinking I could easily eat my way through 12.5 pounds of fruit in no time. After all, I had another life to feed. As the days passed, I realized just how much fruit that was and decided to juice what was left — juice that I might one day use to make vegan purple cow pie, if time ever allows. Or just sip, enjoy and toast the new priorities in my life, celebrate my daughter and give thanks for an evening in a Niagara-on-the-Lake vineyard that was both so forgiving and fruitful. I used about six pounds of grapes to make two litres of juice. Making juice in six-pound batches is very manageable. Put berries into heavy-bottomed pot and mash with a potato masher. Bring to a simmer over medium heat, stirring and continuing to mash grapes as they heat up. Simmer for 15 minutes then remove from heat. Strain juice through a colander lined with cheesecloth or through a fine-mesh sieve. Don’t force the juice through. Let it drain on its own, otherwise you will need to strain it twice. Heat pack in sterilized, one-litre mason jars (a 10-minute water bath, depending on altitude, will suffice). The Canadian Food Experience Project was started by Edmonton-based food blogger Valerie Lugonja, who has called on Canadian food bloggers to define the country’s culinary identity by sharing their Canadian food experiences.